Grab some popcorn and get ready to watch a movie! In this newsletter I’ll cover how to find the best movies to watch, a great way to stream movies to your tv and getting an awesome discount when you go to the movie theater. Before you go to the movies it’s worth reading some movie reviews to make sure the film you pick isn’t a dud. But why just read one or two reviews when you can get an aggregate score from ALL of the reviews? Rotten Tomates does exactly that with their “tomato” ratings. If a film gets enough good reviews then Rotten Tomatoes will dub the film “certified fresh”. 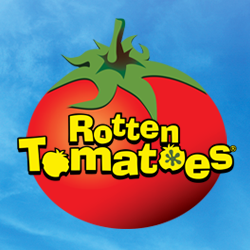 Start looking for a great movie to watch on Rotten Tomatoes! An Amazon Prime membership gives you free shipping on millions of Amazon products for $99 per year. Not only is it a great value on its own, Amazon now includes Amazon Prime Video as part of your Prime membership. This video service allows users to stream a huge library of movies and shows. Once you’ve got access to Prime video, take it to the next level with Amazon Firestick TV and stream videos to your TV without needing your computer or phone. Does going out to the movies feel too expensive? Well if you go to more than one movie a month then you could save money with MoviePass. Find out if the theaters you go to are eligible for MoviePass via the MoviePass website and then sign up for $9.99 per month to get unlimited movie tickets with no commitment. (The service drastically reduced its price recently.) 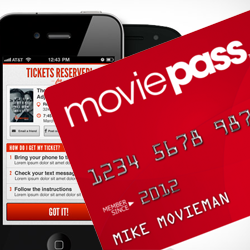 You can start using the service immediately if your movie theater accepts the MoviePass app. Otherwise, wait for the MoviePass card in the mail (which might take a few weeks due to incredibly popular demand) and then enjoy going to movies for less.